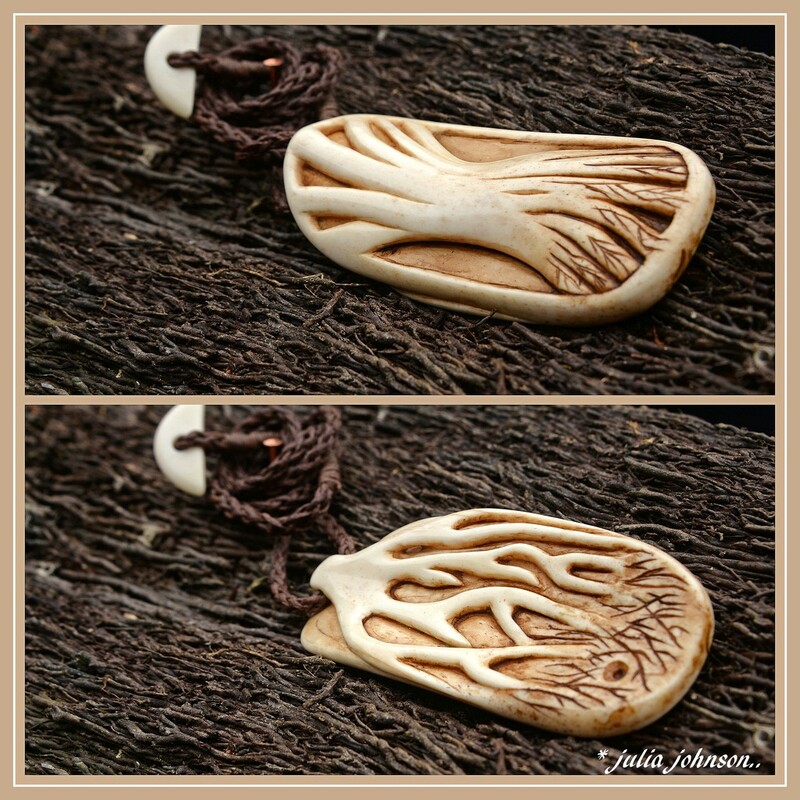 Beautiful pendants, the design is almost Pagan. Looks brilliant! The dark ponga log really makes it stand out. Aren't they gorgeous and so tactile, beautifully and artistically captured on this textured wood ! Just beautiful. He does exquisite work. Such beautiful work. The log is the perfect background. Love the bottom one especially Julz, they mist be lovely to hold & run your fingers over. @happypat extremely tactile... this one is a bonus being carved both sides.. Incredible artwork, so intricate and clever.